I'd been quietly following the activities of a new book club for the past couple months and became interested, especially when the November Read was announced, and then I got really excited. So after doing a random exploration of The Flat Book Society's discussion pages and reading list, I decided that joining this club would be tons of fun! I will be attempting my participation in this November read as well as I can. This is a subject right up my alley, after all, and probably a great place to start with joining The Flat Book Society Book Club. 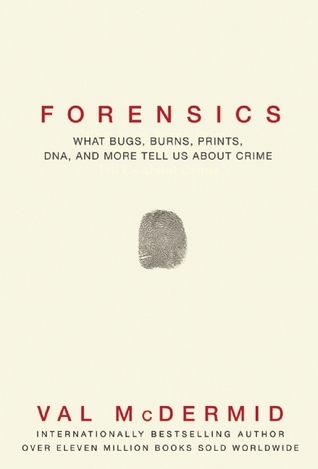 I love me some crime fiction; and I DO have a degree in Forensic Science, even if that was almost ten years ago and never actually used. So this will be an interesting read to see if I recall anything I learned, and how much has changed over the years. I haven't read non-fiction in a very long time--unless you count little articles here and there that I skim for work, some that amount to about two or three pages of useful material and puts you to sleep. There was also that autobiography by Neil Patrick Harris that I listened to the audio book of over two or three years ago.